We are happy to announce that Kyabje Khenchen Pema Sherab Rinpoche will visit London in September 2018 for series of teachings and empowerments. The event will be hosted by Palyul Centre UK and held at Rigpa Center, 330 Caledonian Road, London N1 1BB. On Wednesday, 19th September, from 11 am to 2 pm will be a practice with Khenchen Pema Sherab Rinpoche at Palyul Centre UK, 3 Rotherfield Street, N1 3EE (please bring Riwo Sangcho, if you have one). Kyabje Khenchen Pema Sherab Rinpoche is the senior-most Khenpo in the Nyingma lineage of Tibetan Buddhism, and among the most important lineage holders in the Palyul tradition. Khenchen Rinpoche is also the oldest and closest student of the late His Holiness Penor Rinpoche, and worked tirelessly with him from 1968 onwards, when Namdroling Monsastery was being established in Bylakuppe in south India. 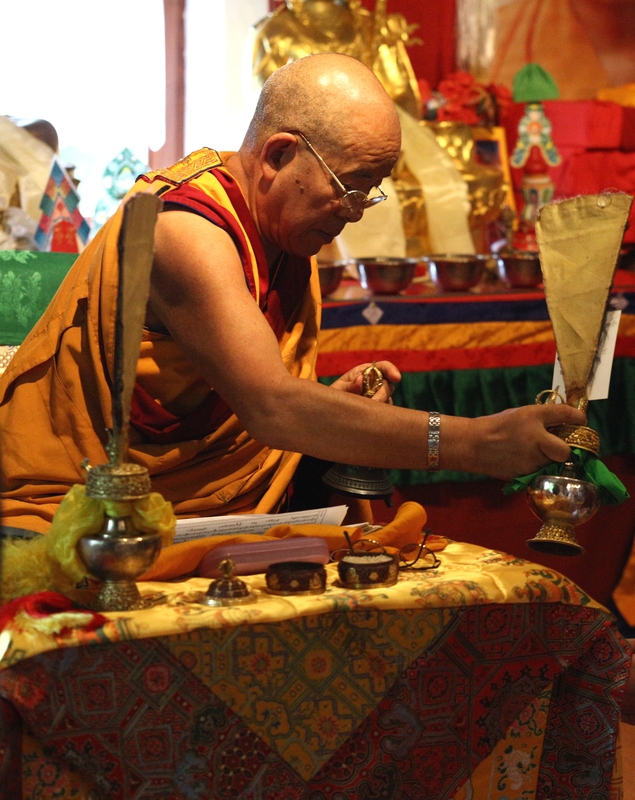 Today, he continues to uphold His Holiness Penor Rinpoche’s legacy. Khenchen Rinpoche is one of the last of a generation of authentic Lamas who hold the pure lineage of the Nyingma tradition, both Kama and Terma. We have all heard of the great masters in the past such as His Holiness Dudjom Rinpoche, His Holiness Dilgo Khyentse Rinpoche, His Holiness Penor Rinpoche and many more; the blessings and the transmission of Dzogpachenpo of these great masters is very much alive in Khenchen Rinpoche’s being, like a beacon shining through the darkness of our present time.